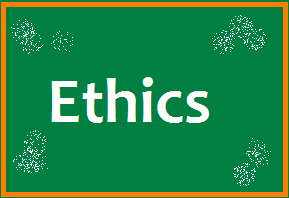 Ethics Case Study No 3 by ClearIAS.com related to Ethics, Integrity and Aptitude (Civil Services Mains Paper 5): Readers can post answers in the comment-space provided. Question: You are the entrance exam commissioner for conducting Medical Entrance Tests. As per Government norms a few seats are reserved for students from economically backward sections. The criteria for economic backwardness is family income. Those students whose family income is below 4 lakhs per annum, based on merit, will qualify for the mentioned seats. Students are asked to declare their family income while filing application. When you published the final rank list after the exam, you get a call from the concerned minister. He presents before you a special case of his relative. While filing the application, his relative gave family income declaration as 6 Lakhs as his parent was working then. But two months after filing the application the parent retired from service and now the family income is only 3 lakh per annum. The student is bright, but will get admission only if gets the economic backwardness quota. The Minister asks you not to stick too much to rules and give the benefit of family income to the student, by treating this as a special case. Is there any thing unethical in the minister’s demand? What will be your approach to this case? I think minister’s demand is unethical. Because as per the details provided in the application form, that student does not belong to the economical backward category. There could be many students who have the same case as the politician’s relative. So, this case should not be considered as a special case, as it will be injustice and discrimination to other students. I will try to explain to the politician that this is unethical and unlawful to consider it as a special case, as the rules don’t permit for it. first thing, i will mention while making rules that special cases will be considered. So it will be ethical to consider such cases. firstly there must be a mention of final interpreting authority for special cases (like supreme court for Indian constitution), in this case I am that authority, at my discretion i will consider it as a special case but only this case I will prepare almost all possible special cases which are likely to be happen in future, this particular is forwarded by minister because student is his relative it can be kinda nepotism or partisanship on my head which is against the spirit of bureaucracy. I will put a notice on website mentioning almost all possible special cases to be consider by commission for recruitment and for this case I will ask for a written letter from minister which can be used as an evidence in future by department. first of all i will check the provision of amendment in financial certificate after submitting final application form. this the first step toward deciding the case is ethical or unethical. i will go through the proper way because i never want to give any wrong reply of RTI application of any candidate.